The unlikely rise and amicable fall of the world’s funniest alt-rock, DIY band—The Presidents of the United States of America, who only needed five strings. Announcing the Tedium Presidential Giveaway! A significant lack of canned peaches in your life bringing you down? We know just the album to help with that. Hop in your dune buggy, stranger, and fill out this form to win a gently used copy of PUSA’s fantastic debut album. Let us know your favorite Tedium piece from 2018 and you’ll be entered to win one of TWO CD copies of the album! 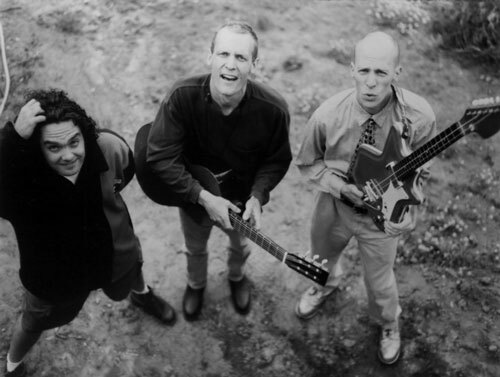 PUSA, in a ’90s promotional photo. The story of PUSA’s unique sound really begins with bassist/instrument inventor Mark Sandman of the band Morphine. PUSA frontman and creative force Chris Ballew spent some time performing with Mark, spontaneously making up songs live on stage for their audience. Mark—a phenomenal bass innovator and player in his own right—inspired the ideas being the two and three-string guitars PUSA would eventually adopt. Per guitarist Andrew McKeag on an episode of Rock Talk with Mitch Lafon, the two instruments were both electric guitars. What made the Basitar special was simple—it has a single .60 bass string at the top and a .36 guitar string at the bottom. The guitbass on the other hand had three strings with gauges of .065, .045 and .035 respectively. Each was tuned to C# to create that signature PUSA sound. 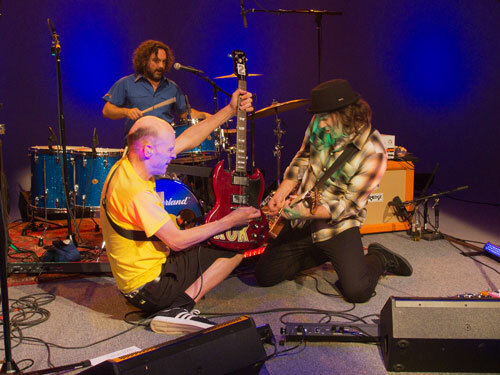 The band got together around the early ’90s—amid the hits of Nirvana, Soundgarden, Pearl Jam and the other giants of grunge—with Ballew and old friend Dave Dederer forming a duo and playing gigs around Seattle. 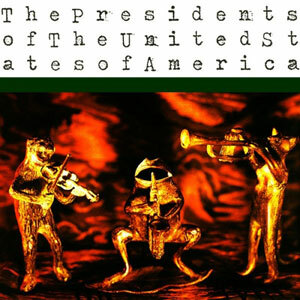 Eventually, drummer Jason Finn joined the band and The Presidents of the United States of America were born. When their eponymous debut album became a hit, they were touted by The New York Times as an “up and coming talent.” Not bad for a grunge band that played funny songs about animals and food. — Chris Ballew, speaking on the podcast Center Stage Show back in July. Per Ballew, he only came to this genre classification recently and only PUSA would fall under the category. The alternate version of the “Lump” music video, a few scenes from which can be seen in the version MTV picked up. Blending comedy with grunge and punk rock became the calling card of PUSA, because of something Madonna told Chris Ballew (heavily paraphrased here)—you’re a good songwriter, but you’re funny and that won’t earn the world’s respect, so just do what you want to do and you’ll succeed. This basic idea holds steady through most of PUSA’s work. The freedom and sense of joy are prevalent through their oeuvre, but none more so than in the debut album. “Peaches”—a song about a guy who loves the eponymous fruit—was quite the radio staple in 1996 and even spawned its own single containing tracks that would later be re-released on the ten year anniversary edition of the album. Tracks like “Boll Weevil” and “Dune Buggy” are innocent fun, with tracks like “Back Porch” showing off PUSA’s chops in singular ’90s fashion. The first album was certified 3X platinum by the RIAA on Jan. 23, 1997 (it had previously hit platinum status first on Dec. 14, 1995 and again on March 4, 1996). Listeners loved the record and kept on buying the album. It’s difficult not to have a great big grin on one’s face while listening to this album and its legacy had an impact in an interesting place—among the comedy music community. The Presidents of the United States of America album was a phenomenal success. The follow-up album, II arrived in 1996 to substantially less fanfare. The album is almost as fun as the debut, but perhaps the public was growing tired of innocent, punk songs about insects. It didn’t perform quite as well as the debut. Despite this, songs like “Mach 5” and “Volcano” would become staples in the band’s live shows and other songs like “Puffy Little Shoes” and “Froggy” harken back to the sound of their first album. II isn’t an extension of PUSA, but it is a logical evolution of the band, with harder rock and a tighter sound. Then, in 1997, the band broke up … for a little while, anyway. (Their downtime was filled with an offbeat collaboration with rapper Sir-Mix-a-Lot that has yet to be officially released.) They returned with 2000’s Freaked Out and Small which took the band in a mellower direction (on top of having a song about the Death Star from Star Wars). A few more albums—Love Everybody and These are the Good Times People—followed in 2004 and 2008 respectively, with Andrew McKeag replacing Dave Dederer (who left the band to pursue other projects) on the latter record. The stories become more human with songs like “Jennifer’s Jacket,” about the real life former roommate of Chris Ballew, who had a jacket that she kept held together with safety pins and thread. PUSA dipped their toes into the pool of crowdfunding with what turned out to be their final album, Kudos to You. Reaching 194 percent of its goal on PledgeMusic, the album would become not only a labor of love to the fans, but a testament to the love the fans hold for the band itself. — Chris Ballew, discussing cover songs in an interview on the Center Stage Show Podcast in July 2018. 1. “Video Killed the Radio Star.” Originally a new wave hit for The Buggles, this song was famously covered by PUSA for the feature film The Wedding Singer. It manages to maintain the spirit of the original song while adding the unique flavor of Ballew’s nasally vocals and eschewing the synthesizers of the original to create a uniquely ’90s take on an ’80s classic. 2. “More Bad Times.” Feeling like the song should be heard by more people, the band rearranged this Ed’s Redeeming Qualities song in their own style. The original is much more laid back, but both versions exude a sense of poignancy while telling a tongue-in-cheek story about how a lovely relationship that ended far too soon. 3. “Cleveland Rocks.” This Ian Hunter track became the theme song for Cleveland-based sitcom The Drew Carey Show. 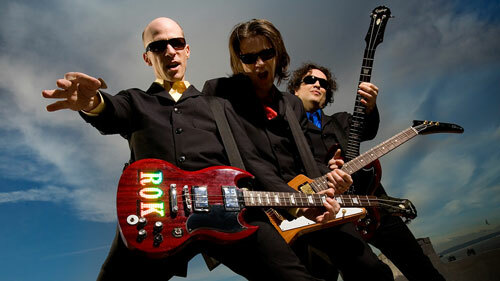 PUSA expands upon the original, transforming it into straight ahead raucous punk. Winfred Louder never saw them coming. 4. “Kick Out the Jams.” Technically more of a re-write/tribute than a cover, I’m including this one on the list because not only does it pay tribute to the fantastic rock & roll royalty, MC5. its lyrics are interesting, the song is energetic and fun, and Ballew’s vocal performance brings the tune to a glorious punk crescendo. It’s one minute and forty seconds of pure energy. 5. “More than a Feeling.” We found this one on YouTube. It’s “Weird Al” Yankovic and PUSA covering everyone’s favorite Boston song. Enough said. Ballew went on to a successful career as children’s entertainer Caspar Babypants—a fact that is well documented online. He also maintains a large archive of his new and old music at his website, along with his recent career path as children’s entertainer Caspar Babypants. The other members of the group—Jason Finn and Andrew McKeag—continue to work in the music industry today. Finn continues to drum with a variety of bands, performing with Paul & Storm occasionally at W00tstock. He was even on an episode of Wil Wheaton’s _Tabletop playing Forbidden Island_ with Wil and author Jon Scalzi. McKeag is a hard-working musician, performing with his Andrew McKeag Band, who recently released their debut album. The amount that Hewlett-Packard acquired Seattle-based Melodio for in 2010. The company, at which PUSA founder Dave Dederer was an executive, developed a program that Dederer worked on called Nutsie. Nutsie allowed users to upload an XML file of metadata from their iTunes library and stream their music from their phones or Nutsie’s website. During a Reddit AMA from 2009, he talks at length about his desire to do more than be in a rock band, but expresses nothing but positivity at his involvement with The Presidents. These days, Dederer is a pretty big deal at another Seattle company you may have heard about—Amazon. 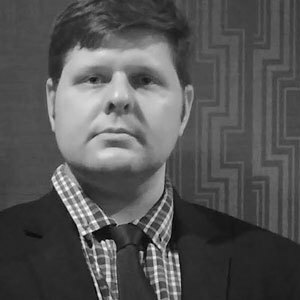 Per his LinkedIn profile, Dederer has spent most of the past decade in charge of music licensing, music programming and more recently the musical side of Alexa’s development. Turns out they were going to make it after all. While there may not be deep philosophical or existential meaning behind the lyrics of most PUSA songs, I find they do possess a deeper meaning and purpose, at least for me. Here is a group that celebrates the DIY spirit, throw their hearts into their performances and forego ego in favor of fun. The music is engaging and resonates with a sense of joy and humor. For whatever reason, humor in music isn’t always accepted in the mainstream, but PUSA managed to bring it to the public’s consciousness in a massively successful way. I tried to make my own guitbass, but ended up completely wrecking the intonation on my Harmony acoustic. I suppose I’ll have to get it fixed. Until then, I’ll just load up my CD player with PUSA albums, sit on my back porch and kick out a few jams of my own.